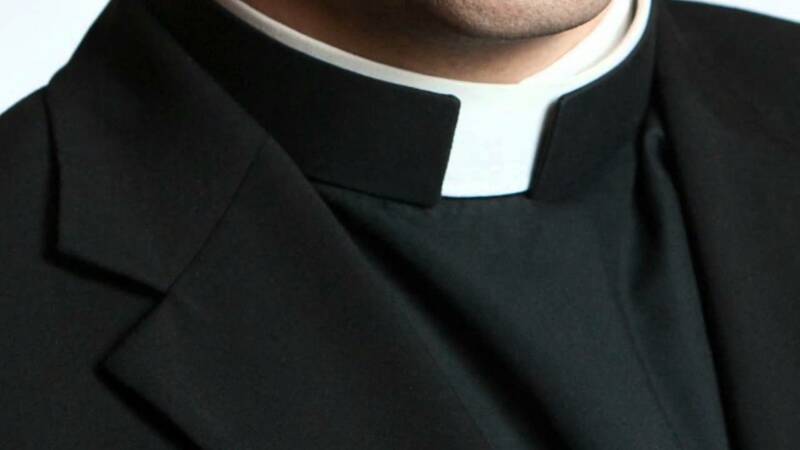 A recently-promoted clergyman from County Dublin has gone public with his ambitions, declaring that within the next 45 years, he will be crowned Pope. Father Diarmuid Fitzgibbon-Lopez, a 17-year veteran with the order of Jesuit Brothers in Lucan, made the claim last Thursday to a group of rowdy onlookers as he was on his way to a darts competition (in which he came ninth). According to Jimmy ‘James’ Burke, who is reported to have been at the scene, the popular priest is said to have shouted; ‘Will yiz ever get a life yeh pack of useless b***ockses. Come see me in forty years, when I’ll be calling the shots in the Vatican’. Another witness, Dessie ‘Desmond’ Higgins, who asked that we not use his name, and who hails from ‘one of the new estates behind the chippers near Tesco’, said of the alleged incident; ”This carry-on is nothing new to us, sure last November, Sister Frances-Mary and Sister Xavier-Rose were throwing stones at us from the roof of the convent, with one of them, I’m not sure which, calling us a gang of Presbyterian arseholes’. Father Diarmuid, well-known throughout the holy lands of Clondalkin, Lucan and Blanchardstown due to his role as accordionist with the all-priest band, ‘The Gorgeous Avengers of Saint Francis’, and as a coach of the Lucan under-7s hurling team, is no stranger to controversy. In 1977, before entering the priesthood, he and his uncle Edmund, a one-time runner-up of the All-Ireland Altar Boys Championships, were handed suspended prison sentences for attempting to hijack floats on the village’s St. Patrick’s Day Parade. Evading the local Gardai for almost nine minutes, the master-criminals were apprehended by then-legendary Superintendent Dan Sweeney (now Garda Esther Dominguez), who said; ‘The priesthood saved him, if it weren’t for his calling, he’d still be acting the gobshite round the village today’. He was twice suspended from duty in the 1980s, once for vomiting (‘mostly accidentally’) near Bishop Stevie Steinberg of Sligo, and again, having been caught on tape saying that the Bible was; ‘Brilliant, apart from all that Noah’s Ark stuff, sure that’s a load of oul’ shite’. Having risen in the ranks to Assistant Parish Priest in West Dublin, which means he’ll now be able to leave mass before communion, the ambitious Father Diarmuid has made no secret of his career hopes. With two of his uncles having been parish priests in the ’60s, and his own father retiring from the priesthood while still a teenager, history, ambition and a love for holy things, could well see this Irishman reach the Vatican before the end of the century. Words by Bosco Coppell, Pictures by Samantha’s Cufflinks and Cupcakes.